Clas Ohlson Sweden enters as sponsor of the EuroPride 2018 festival. In addition to a financial contribution, the sponsorship also means that Clas Ohlson draws attention to the festival through the sale of selected products in rainbow colors. Part of the revenue from the Rainbow Collection goes to the organizations Stockholm Pride and West Pride, who organize the festival. We are proud to contribute to EuroPride and manifest the equal value and rights of all people. It feels extraordinary that we can do it with an activity that is directly linked to our customer offer, as in this case, specially crafted products in the rainbow colors. In this way, we engage the entire company in the sponsorship, says Fredrik Uhrbom, Country Manager at Clas Ohlson Sweden. EuroPride is an international event that attracts visitors from all over Europe. In 2018, EuroPride is held in Sweden for the third time, and for the first time with two cities as hosts. The hosting of EuroPride 2018 is shared between the Stockholm Pride and West Pride festivals. As co-hosts, Stockholm Pride and West Pride want to challenge the EuroPride concept and create a festival of joy which lasts for three weeks, linking together Sweden's two largest cities, Stockholm and Gothenburg. We are very pleased to announce that Clas Ohlson joins EuroPride as a sponsor. 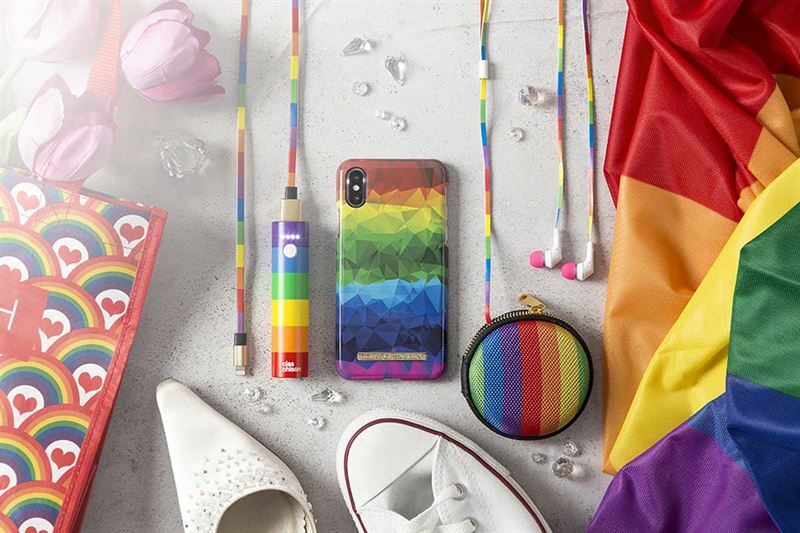 By supporting the festival and offering their customers rainbow products, they clearly show that they are a company that takes a stand for lgbt issues, says Britta Davidsohn, chairman of Stockholm Pride. It is pleasing that Clas Ohlson, through their support of EuroPride, engages their co-workers and customers. To us it is important that business actors actively contribute to changing attitudes in society, says Tasso Stafilidis, chairman of West Pride. 100 years as a business with customers in five markets, approximately 5,000 co-workers and annual sales of approximately 8 billion SEK. Our share is listed on Nasdaq Stockholm. A lot has happened since the start in 1918, but one thing has remained the same over the years; that we want to help and inspire people to improve their everyday lives by offering smart, simple, practical solutions at attractive prices. Read more about our history on clasohlson100.com/en or visit about.clasohlson.com for current events and information. - We are proud to contribute to EuroPride and manifest the equal value and rights of all people. It feels extraordinary that we can do it with an activity that is directly linked to our customer offer, as in this case, specially crafted products in the rainbow colors. In this way, we engage the entire company in the sponsorship, says Fredrik Uhrbom, Country Manager at Clas Ohlson Sweden. - We are very pleased to announce that Clas Ohlson joins EuroPride as a sponsor. By supporting the festival and offering their customers rainbow products, they clearly show that they are a company that takes a stand for lgbt issues, says Britta Davidsohn, chairman of Stockholm Pride. - It is pleasing that Clas Ohlson, through their support of EuroPride, engages their co-workers and customers. To us it is important that business actors actively contribute to changing attitudes in society, says Tasso Stafilidis, chairman of West Pride. Fredrik Uhrbom, Country Manager at Clas Ohlson Sweden. Britta Davidsohn, chairman of Stockholm Pride.